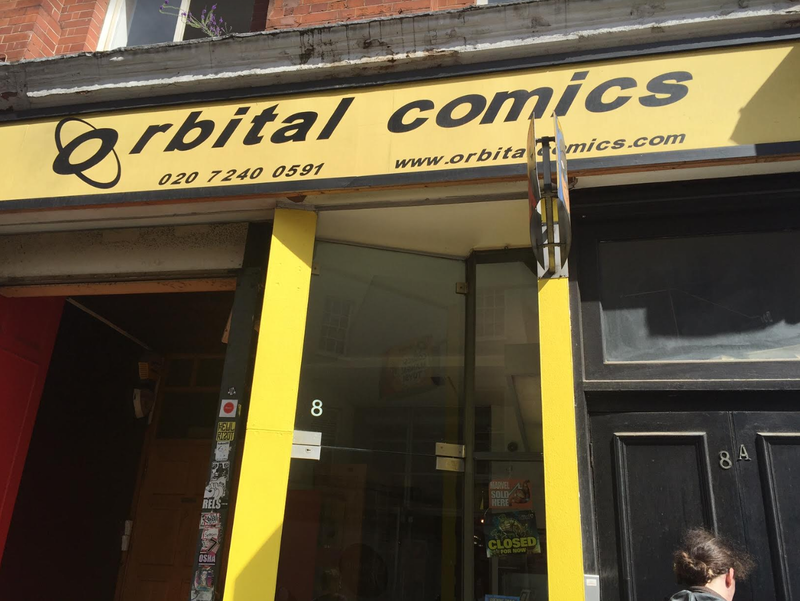 Orbital Comics is my fiancés favourite comic book store in London, and if you have ever watched an episode of The Big Bang Theory it's exactly the way you would expect a comic book shop to look like. As soon as you walk into the store the first things you see on display are this week's comics, followed by the weeks before and then anything older. 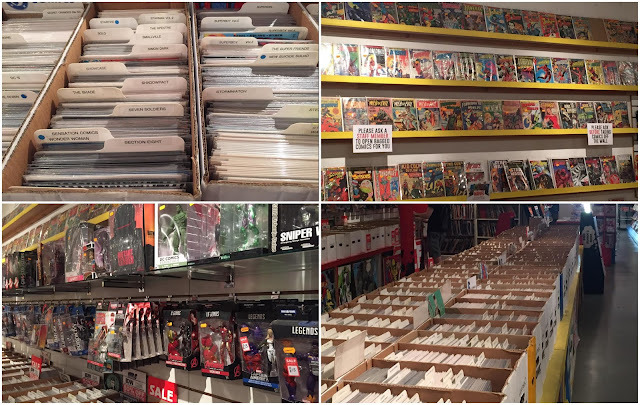 Towards the back of the store there are loads of boxes filled with back issues of comics which are great for rifling through and the walls are lined with action figures and old rare comics too. Although this store has a strong focus on the more traidition DC and Marvel comics, there is still a small section devoted to indie comics, and although it is small it still will have all the popular titles such as Saga, Rat Queens, The Wicked and The Divine, etc. The store also acts as a gallery too, and there is even a small side room dedicated towards children's graphic novels. This is quite possible my favourite part of the store because they have a whole shelf dedicated to cats! I didn't even know cat comics existed before visiting here so that was a very exciting discovery for me to make. I love Orbital Comics, the size of the shop is great and it's always busy without being overcrowded. My favourite thing about this store (besides the cat shelf) is the fact that the staff here are so lovely and friendly, they are always open to conversation. If you are near Piccadilly Circus / Leicester Square way you should definitely take a moment to visit Orbital Comics. There are lots of places to eat nearby and it's also surrounded by lots of other specialty book stores too making it the perfect location for a bookish day out.